Why Join St Mary’s Sixth Form? The Sixth Form at St Mary’s is a very special place to complete your school education. You will benefit from a wide choice of subjects, individual attention and engaging tutorial style lessons, which will inspire, challenge and motivate you. The teaching staff will get to know you well and will be ideally placed to support you academically and in the crucial decisions regarding career choices and further education. There will also be plenty of leadership opportunities and a wide selection of co-curricular options that will further develop your independence in preparation for university life. Our Year 13 students achieve consistently impressive A level results. Their strong results mean that the vast majority achieve entry to the university of their choice, including many of the top Russell Group universities. Other students are increasingly choosing to apply for the highly competitive apprenticeship schemes and their strong exam results mean that they are being offered places on programmes such as the Microsoft Degree Apprenticeship. Please click here to see our Destination of Leavers. You have a wide choice of subjects for Advanced Level study: Biology, Chemistry, Physics, Mathematics, English, Geography, History, Psychology, Philosophy and Ethics, Politics, French, German, Spanish, Music, Art, Drama, Dance, Food Technology, ICT, Media Studies, Business Studies, Economics. You are asked to choose four A Levels as a starting point, but may then opt to drop one of them and focus your studies on 3 A Levels and an Extended Project Qualification (EPQ); a decision which should ideally be made by January of Year 12. The EPQ provides you with the opportunity to explore in much greater depth any topic about which you are passionate. It is highly regarded by the universities and in some cases they choose to offer lower entry requirements on the basis of a strong EPQ. 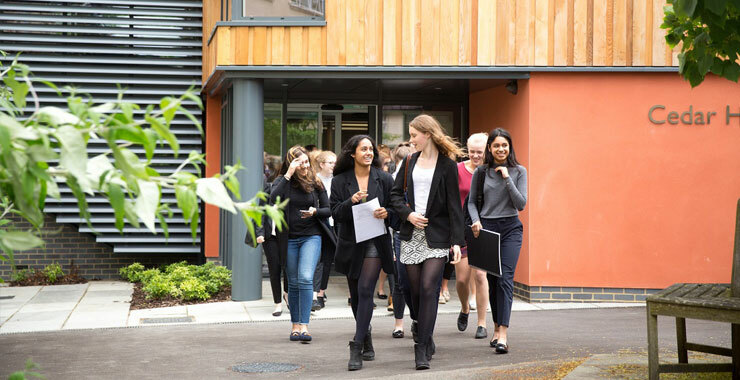 Our Sixth Formers enjoy the benefit of their own modern purpose built Sixth Form block, with classrooms reserved for use solely by the Sixth Form students. There is also a quiet work room, for your independent study, as well as a large, airy and lively common room, with its own kitchen area and comfy sofas and bean bags. As a Year 12 or 13 student, you will be placed in a vertical tutor group with a tutor who will get to know you really well and stay with you throughout your two years in the Sixth Form. Your tutor will work with the Head of Sixth Form to ensure that you are well supported both socially and academically throughout this demanding period. Our PSHCEE programme, incorporating seminars in Ethics and Current Affairs, aims to help you make sense of the stresses and pressures of modern life and our General Studies programme brings a wide range of external speakers in to share their experiences with you. We firmly believe in the importance of exercise in maintaining a healthy mind in a healthy body and Wednesday afternoons provide you with the opportunity to try out a number of activities to keep you fit from yoga to boxing, there is something to suit everyone. You will benefit from individual attention in relatively small class sizes. This enables your teachers to ensure that you understand all of the topics, to push you to the next level as soon as you are ready and to offer additional support and challenge when necessary. It also means that they are able to recognise if you need further support on an emotional level as well as an academic one. This tutorial style of teaching will fully prepare you for university life and you will gain experience of working independently and presenting your work to your peers in seminar presentations and discussion. Leadership is crucial to success and we aim to give you as many opportunities as possible to demonstrate and develop the skills of leadership during your time in the Sixth Form. In school you will lead many of the co-curricular activities which we offer as part of the Sixth Form St Mary’s challenge. You will be a Prefect, Head of House or even a member of the Head Girl Team. However, most importantly you will be a role model to the younger girls in the School. From Nursery, where girls will gaze at you in awe, to Year 7, where girls will need your guidance and support as they settle into Senior House, all the way through to Year 11 where girls will turn to you for advice on everything from A level choices to how to cope with exam pressure. You will work as part of, or even lead, a team in Young Enterprise, Model UN, complete Silver and Gold Duke of Edinburgh Awards, go trekking in Peru and raise endless sums for Charity, whether for Children in Need, Sports Relief or for your House’s chosen charity that year. 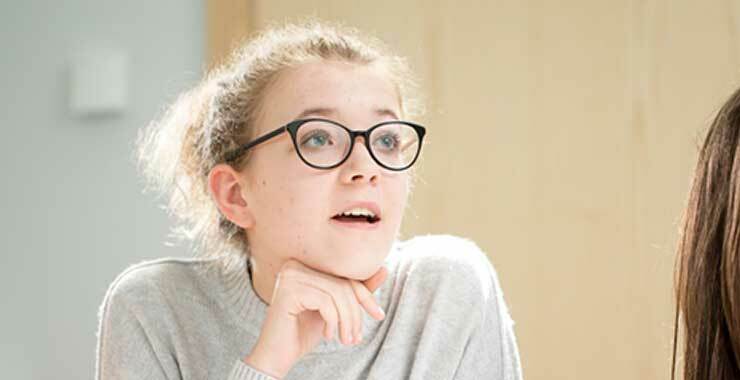 In addition to the structured careers programme available as part of the curriculum throughout the Sixth Form, you will have extensive coaching in the so called ‘soft’ skills; presentation, negotiation, ICT and interview skills, all so important as you prepare to enter the world of Higher Education and eventually work. External speakers open your eyes to the wealth of opportunities available to you, and you will have personalised advice on your choice of course and university from people with sound experience and an excellent track record of getting you to where you want to be. You will have a one-week work experience placement at the end of Year 12 which will support your university application. university process, should you choose this route, and the weekly PSHCEE sessions include discussions around UCAS and a wealth of opportunities to ensure that you are in a position to make the right choices for your individual future. You may wish to apply for one of our Sixth Form Scholarships. These are awarded in recognition of all round academic potential or strength in Performing Arts, regardless of financial considerations. They are open to any girl from any school who hopes to enter the Sixth Form at St Mary’s in the next academic year.